As the sun rises over the Pini Pini mountains in the Peruvian Amazon the light begins to change, cutting the landscape in two distinct halves. Blue-and-yellow Macaws pass by, their colours iridescent and shimmering brightly. A day of new beginnings and exciting discoveries lies ahead. Having left our sunrise spot we make our way back to the Manu Learning Centre - a research base in the buffer zone of Manu National Park. With my eyes trained on the ground, navigating the boulders below my rubber boots, I realise this journey has been done before. “Mira! Capybara!” Santi, our boat driver, exclaims. 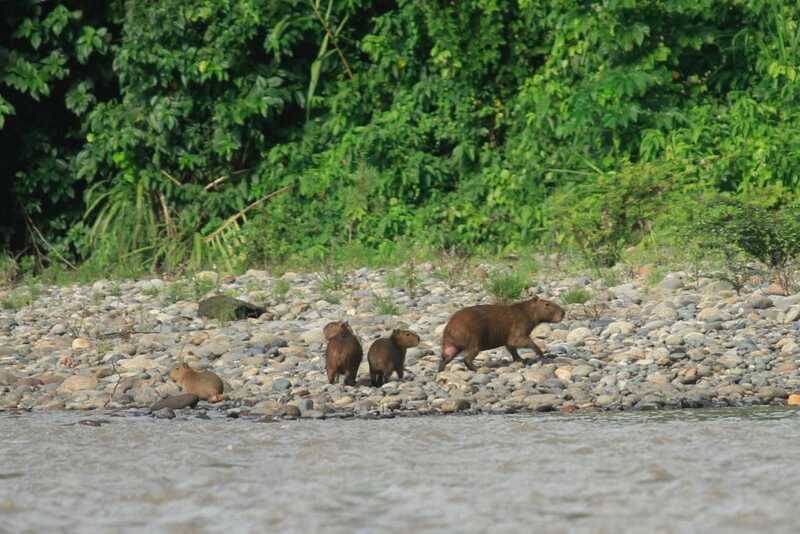 Minutes away from arriving back at our lodge, thanks to Santi’s eagle eyes, we are able to watch the largest rodent in the world stroll, surprisingly gracefully, along the riverside with her young. Back at the our lodge, amongst the chaos of fluttering wings around the Manu Learning Centre gardens, this individual remains perched. But with the highest metabolic rate of any bird species in the world it won’t be long before it must take to the air once again. 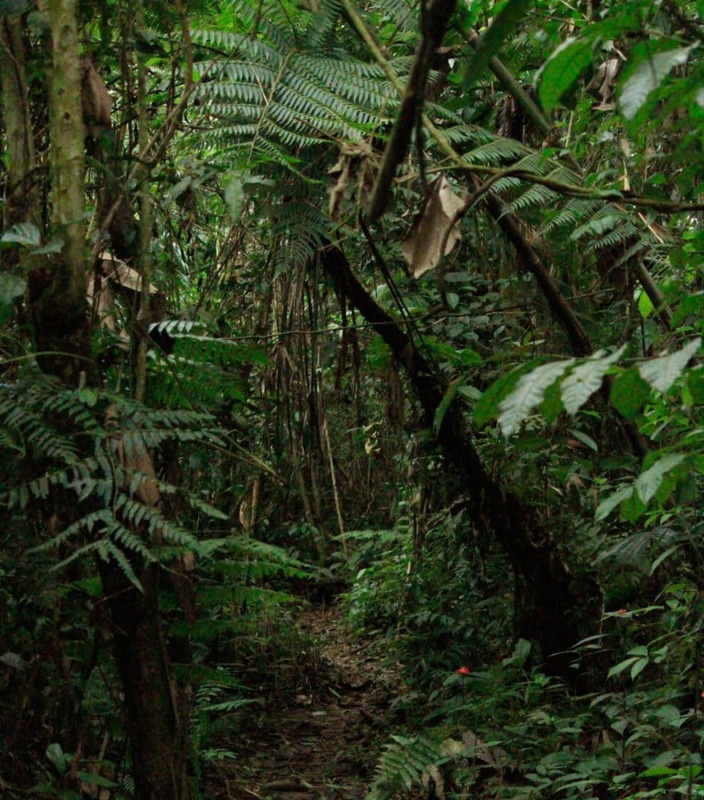 In the early afternoon we don our rain jackets and head into the jungle. My senses heighten and align with the environment, almost like an eye adjusting to a bright light. 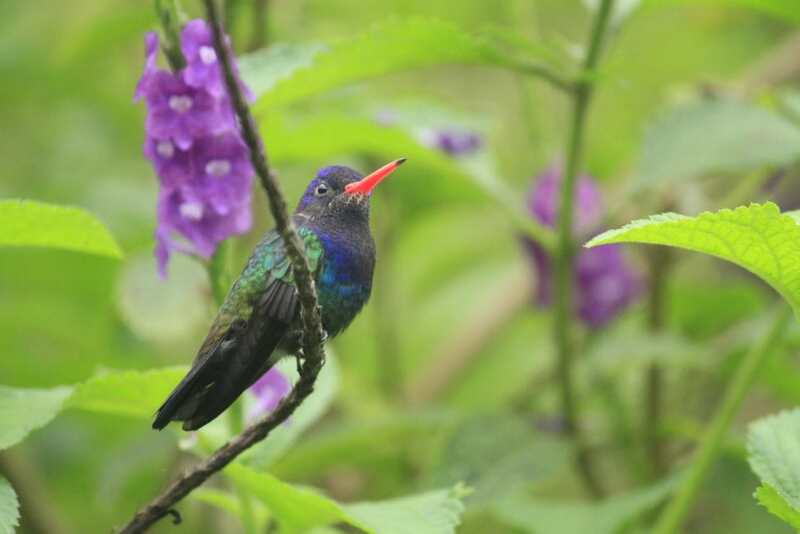 The calls of birds and other creatures ricochet throughout the forest, but one in particular attracts our attention. the trails that crisscross the reserve allow access to the most remote regions. 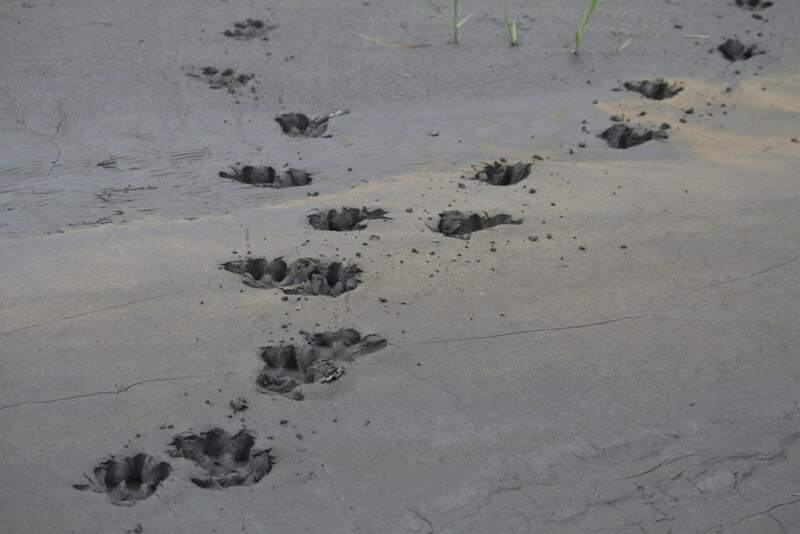 Today, we are heading for the mammal clay lick, a notorious spot for monkeys and terrestrial mammals. 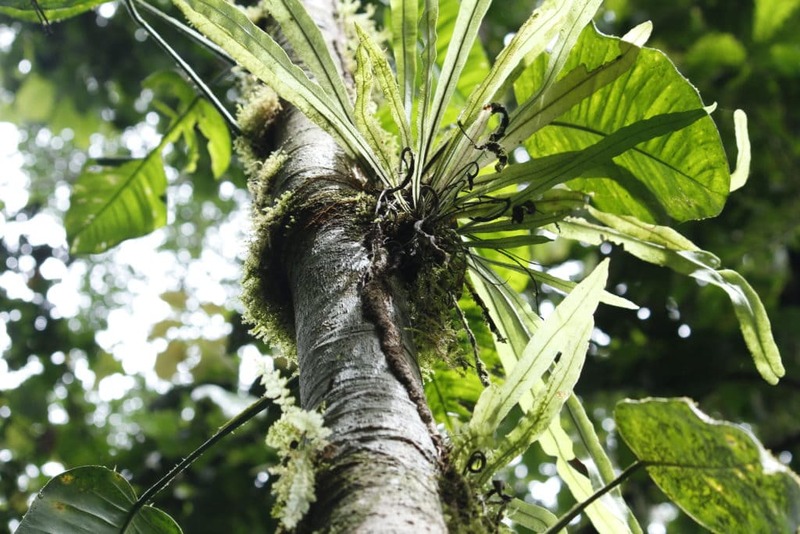 Epiphytes seek out the sun’s rays in the forest canopy, fixed to their host trees tightly. 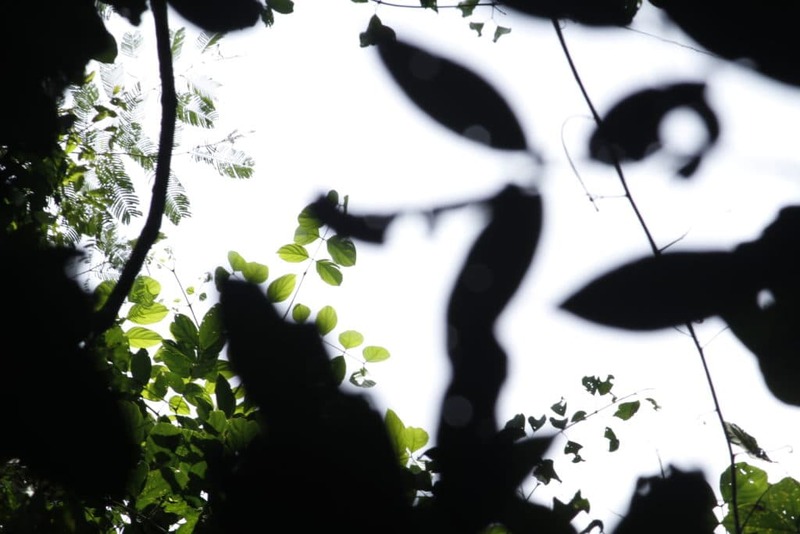 Every direction you look in the rainforest this symbiosism is present; a powerful tool, one of support and survival. 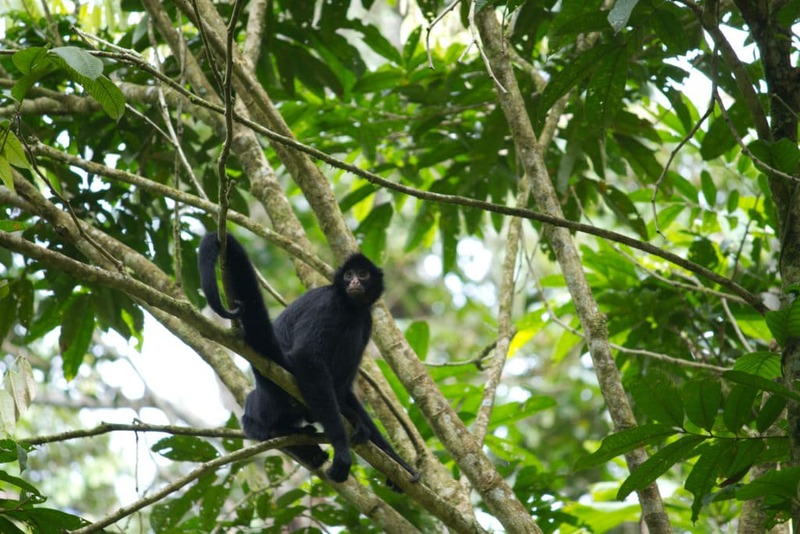 We are now off-trail and following the calls of an endangered spider monkey family deep into the rainforest. Above us the canopy shakes and leaves float to the forest floor. They tease us of their proximity. A fallen tree gives us the clearing needed for the perfect view. 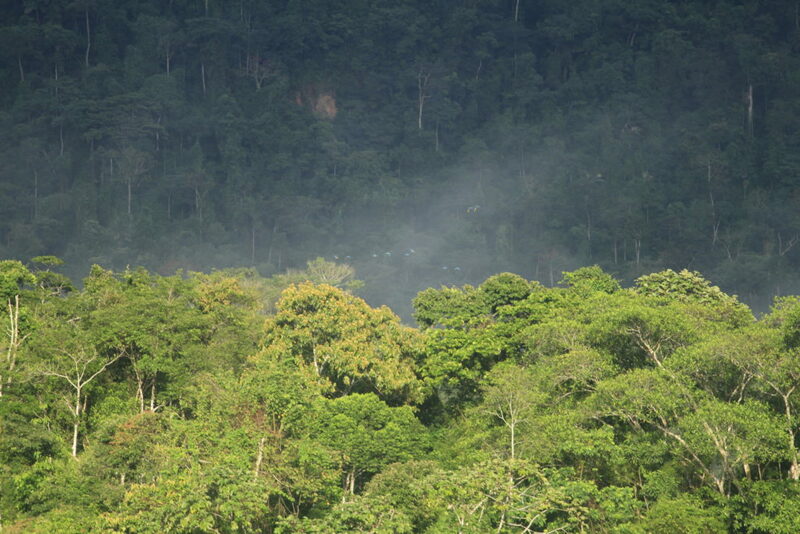 The brighter shades of green that paint the rainforest interior during the day begin to fade into the darkness. For when night arrives the rainforest shifts; a stage for nocturnal creatures to flaunt their peculiar adaptations and often stunning appearances. 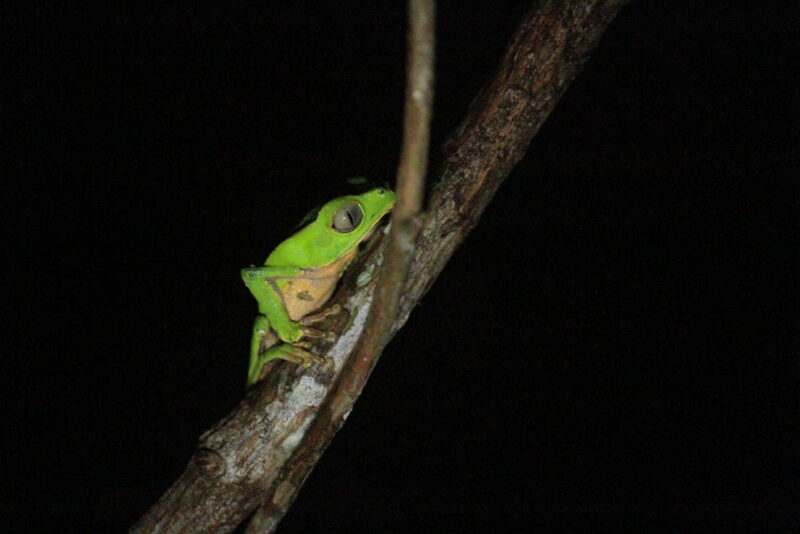 Here at the Manu Learning Centre volunteers and interns conduct night-time surveys alongside researchers to monitor species, such as tree frogs. 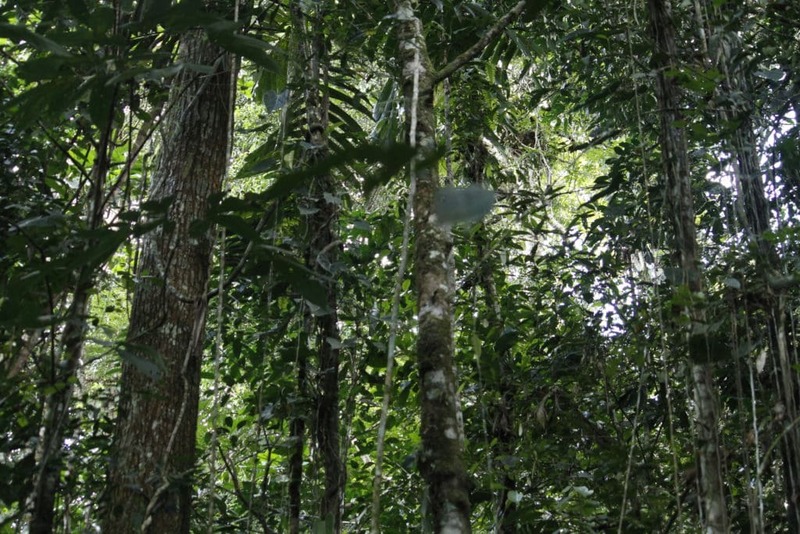 The presence of these vulnerable species, which are affected more by environmental change, gives hope for the future of tropical rainforests in Manu, and beyond.